While the anti-Candida diet you will be following will kill off some of the Candida in your body, you’ll need to add not only probiotics but antifungal supplements to your routine as well. Antifungals can actually be consumed as food in your diet, but it is often most effective to take them in supplement form as well. These specialized supplements will further weaken the Candida albicans cells, killing them off even faster. Unlike probiotics, you can start taking antifungal supplements the moment you begin your anti-Candida diet, even during the cleansing process at the beginning. While probiotics will be flushed from your body with the cleanse, antifungals will simply serve to aid the cleanse. Both will cause Candida die-off, so starting both at the same time is not necessarily a good idea anyway. The antifungal you choose is incredibly important because it will not only help to kill the Candida organisms in your body but will also eventually work with your probiotics to support the repopulation of good bacteria in your intestines. Some antifungals can also help to balance out the level of acidity in your stomach, something that has been altered by the overgrowth. Just as our bodies can adapt and stop responding to antibiotics and other medications, such is the case with most cheap general antifungal supplements. 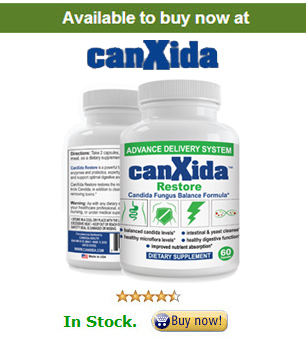 You’ll likely want to choose a good potent antifungal that is resistant to candida, I have tried every antifungal and canxidaremove comes #1 on my list, you can’t go wrong with them, their formula contains all the ingredients. Foods like onion, rutabaga, and seaweed will not only help fight Candida (check my candida fighting foods list as well) but will help you to round out your diet as well. Cook them with oils like coconut and olive oil and with herbs and spices like turmeric, cayenne, lemon juice, and lime juice and you’ve got an added anti-Candida punch. There are both natural antifungal supplements and prescription medications to consider. Prescription and over-the-counter medications don’t tend to work as well for severe Candida overgrowths. Medications like Diflucan are often one-off treatments for isolated vaginal yeast infections while medications like Nystatin can be prescribed for more severe Candida outbreaks. Your best option is a natural choice like Canxidaremove and you can read more about it on canxida.com. While you’re following a strict Candida diet protocol, though, you may find it more beneficial to stick to supplements with more natural ingredients as mentioned before. You’ll also want to include anti-fungal foods and herbs in your diet. Examples include, caprylic acid, garlic, oregano oil, olive leaf extract, turmeric, grapefruit seed, ginger, goldenseal, and coconut oil. However it is a good choice to go for a supplement that contains all these herbs such as Canxidaremove. No. They’re not. You should stop taking high dosages of antifungal medications as soon as you feel as though you have completely healed your body from your Candida overgrowth. It’s better to back away from them so that your body does not develop a tolerance, ensuring the antifungals are effective against Candida if you need them again in the future. Don’t stop taking your antifungals all at once, though. Start by slowly decreasing the dosage and monitoring how you feel. If you start to notice Candida symptoms again, you may want to go back up to your original dosage for a while longer. As long as you are free of symptoms, you can continue reducing your dosage until you are no longer taking them. Experiment with increasing your dosage slowly over the course of your treatment and don’t be afraid to switch to a different supplement, or combination of supplements, if you aren’t getting the results you’d hoped for when combined with your anti-Candida diet regime. Seek the advice of your doctor or naturopath if you need additional help. Not sure which antifungals to take? Read my article on how to choose candida antifungal.